In the Celtic word view, seasonal changes were magical times, turning points in the calendar when the powerful forces of the universe could be accessed to promote the health and prosperity of the tribe. Celebrations involved ritual, dance, feasting, songs, games, competitions, trading between tribes, settling debts and disputes, arranging marriages, and offerings to the gods. Ancient Celts organized their lives according to the rhythms of nature. In addition to their spiritual significance, the festivals were vital agricultural markers used to determine the times for ploughing, sowing, harvesting, birthing of livestock, and other tasks necessary for survival. Samhain, meaning summer’s end, marked the start of winter, the dark half of the year. It’s probably the oldest and most important festival of the ancient Celts. This was the beginning of the Celtic New Year, time to take stock of the herds and grain supplies and decide which animals would be slaughtered in order to dry or salt their meat for winter. Feasts and gifts were shared. Blessings were given and invoked. The approaching darkness was regarded with suspicion and some fear. With the community bonfire ablaze, all other fires were extinguished and each family then solemnly lit its hearth from the common flame thus bonding the tribe together. At Samhain, it was believed that the veil between this world and the Otherworld became so thin that spirits could walk the earth. Communion between the living and the dead was possible. Traditionally, this was the most fortuitous time of year to practice divination. 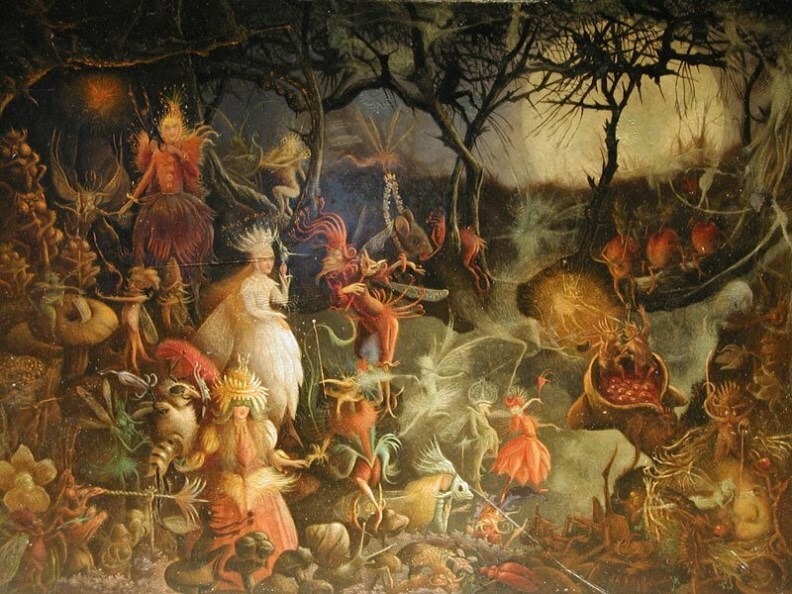 Our modern-day Halloween is rooted in Samhain’s traditions. In Ireland, the custom of leaving food for the family spirits continues in some places. Children wear masks to frighten and confuse malevolent spirits, while the jack-o-lantern (originally a turnip) is lit to guide friendly spirits on their way home. Spring symbolized new life the promise of returning light. Imbolc was the beginning of the agricultural year, the time for ploughing. The plough was decorated to celebrate its importance. Preparations for spring sowing of crops included blessing seeds and agricultural tools. Pieces of cheese and bread were placed within the newly turned furrows as offerings to the nature gods. 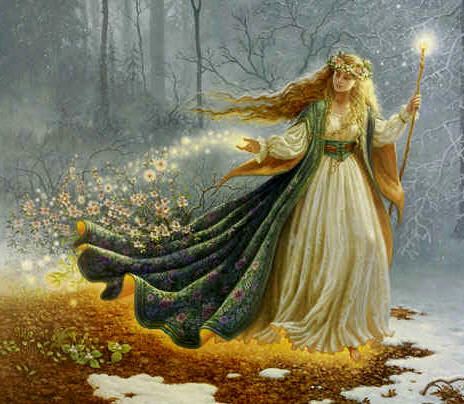 Imbolc honours Brigid, Celtic goddess of poetry, metalwork, and healing. She is also associated with fertility. Many Irish traditions involve seeking her blessing. The festival of St Brigid in the Christian year is also marked at this time. Beltaine means ‘bright fire’. This celebration marked the beginning of summer, season of growth and blossoming. It’s associated with the sun god, Belenus. On this day, great fires were lit on mountains to affirm the return of the sun. Farmers moved their herds to rich pastures. New couples proclaimed their love for each other when they went walking in the woods. 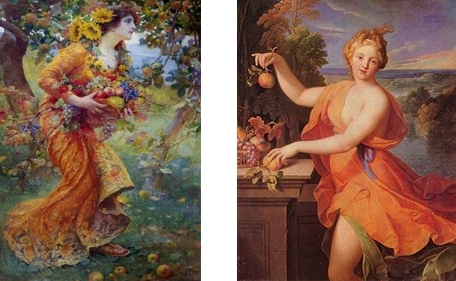 Trial marriages which commonly began at Samhain or Lughnasadh and which hadn’t worked out would end at Beltaine. If a woman could not conceive with her partner she could take another lover at Beltaine for a one-off pairing. 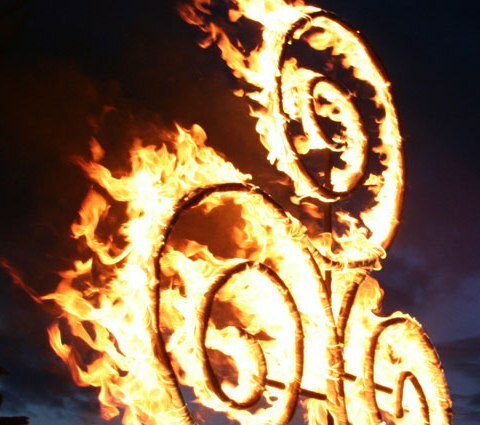 At Beltaine, ritual fires were kindled and their flames deemed to have protective power. Cattle were driven between two bonfires as a form of purification and to encourage their fertility. Wood from the Hawthorn tree was used as a Maypole and its branches used to decorate homes as a blessing of protection. This time of year was open to the Otherworld so there were also rituals of protection against mischievous fairies. Ancient Celts imagined the earth as their mother; she was the goddess, Danu. The sun god, Lugh, was her husband. Their union was a symbol of balance and health for the Celtic tribe. At Lughnasadh, Lugh was honoured as the god of light and master of all skills. Lughnasadh (autumn/fall) was a time of thanksgiving for completion of the harvest which meant the tribe’s survival during the dark winter months ahead. It was a celebration of the peak of the agricultural season, associated with hand-fasting, marriage, fertility, and abundance. Communities celebrated with music, dancing, feasting, and competitions. All that gave life its goodness and richness was affirmed.